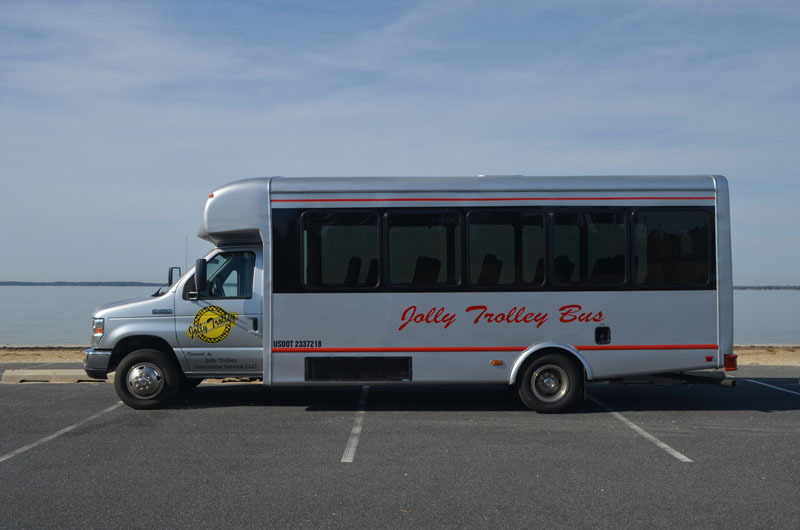 The Jolly Bus - Touring Model is our NEW Jolly Bus which can transport up to 25 passengers! This vehicle type is available for any type of trip. 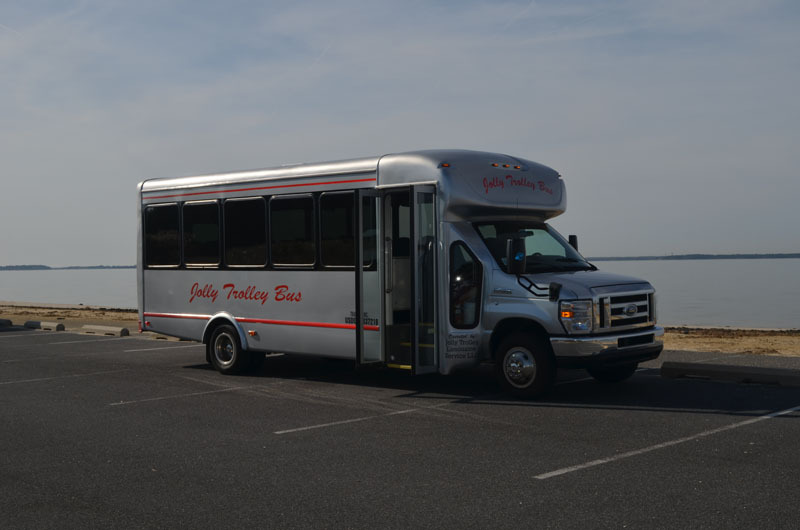 We are fully licensed and insured to provide service for local outings as well as travel out of Delaware to nearby cities and destinations for sporting events, concerts, tours or a variety of other outings. 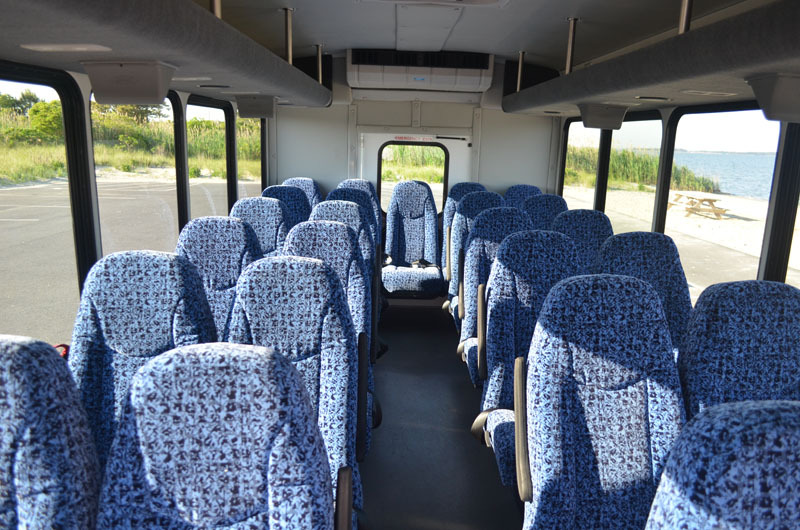 This Jolly Bus type is equiped with 6 monitors (and DVD player), overhead storage and reclining seats. A Jolly way to travel to and from your out of town destination.